ZHOUSHAN, China (Reuters) - State oil giant Saudi Aramco <IPO-ARMO.SE> plans to ink an agreement later on Thursday to take a stake in a refinery-petrochemical project in eastern China, a senior official said on Thursday. "We will have a signing ceremony later today with the Zhejiang government to invest in the Zhejiang refinery-petrochemical project," Aramco's Senior Vice President of Downstream, Abdulaziz al-Judaimi told an industry event. 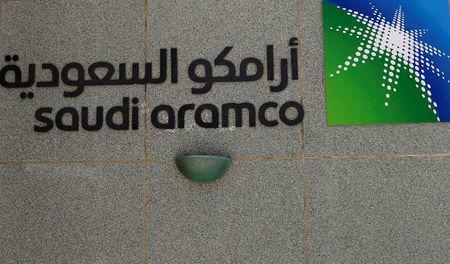 Last month, Saudi Aramco signed a long-term deal with the project's operator Zhejiang Rongsheng to supply crude oil. Zhejiang Petrochemical, 51 percent owned by textile giant Rongsheng Holding Group, plans to start its 400,000-barrels-per-day refinery-petrochemical project in eastern China in late 2018.